The Shire of Amlethsmor (formerly the Shire of Amlesmore, also sometimes called Amleth Moor) is a branch of the Society for Creative Anachronism (SCA) and a part of the Kingdom of Calontir. The SCA is an international organization dedicated to the re-creation of pre-17th century Europe and places that had contact with it. It consists of 19 kingdoms and over 30,000 members. 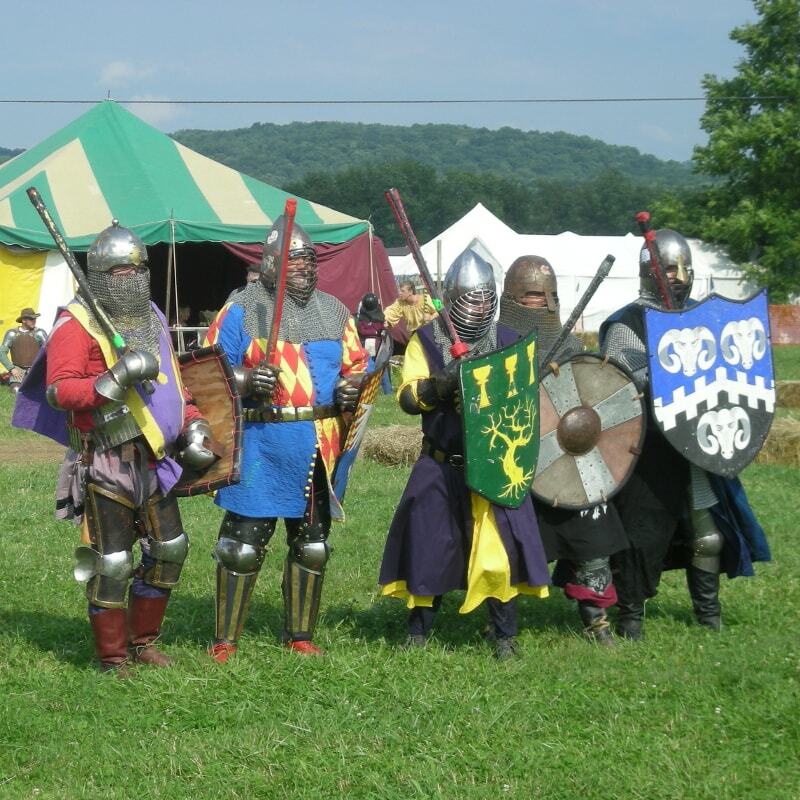 Members of the SCA can take part in activities varying from calligraphy to leather working to brewing to armored combat and more. The Kingdom of Calontir is a regional branch of the SCA and covers most of the states of Kansas, Nebraska, Iowa, Missouri, and a part of Arkansas. For more information see the Newcomer Page. The Shire of Amlethsmor became an official branch of the SCA in 2004. It covers the towns and villages in Missouri of Benton City, Brunswick, Cairo, Centralia, Clark, Clifton Hill, Dalton, Excello, Florida, Hallsville, Higbee, Holiday, Huntsville, Keytesville, Laddonia, Madison, Mexico, Middle Grove, Millersburg, Moberly, Musselfork, Paris, Renick, Rush Hill, Salisbury, Stoutsville, Sturgeon, and Thompson, and all places in between. To see the areas we cover, look at our Map. We hold business meetings once a month, weekly fighter practices, monthly arts and sciences meetings, and host two major event each year. In between meetings members attend events of other shires and baronies. You do not have to be a paying member to attend meetings or take part in our activities. All that is asked is that you have a love of pre-17th century Europe and a willingness to try to re-create it for fun and education. The Shire of Amlethsmor is willing to do demonstrations of fighting and arts and crafts at local fairs and festivals in the area. If you want us to do a demonstration of fighting or crafts or are interested in joining please contact our seneschal at seneschal at amlesmore.org. Feel free to join our unofficial Facebook Group or join our Yahoo Group. And you can read our history here. Please note this is the recognized website for the Shire of Amlethsmor of the Society for Creative Anachronism, Inc. and is maintained by Lord Hubert de Stockleye (Berry Canote). This site may contain electronic versions of the group's governing documents. Any discrepancies between the electronic version of any information on this site and the printed version that is available from the originating office will be decided in favor of the printed version. Copyright © 2016 Kingdom of Calontir, Shire of Amlethsmor..The original contributors retain the copyright to certain portions of this site.